I still vividly remember the first time I admitted out loud that I was an alcoholic. I battled with saying it for quite a while because once I uttered those words, I knew there was no going back. And I knew that if I labelled myself, it wouldn’t be long before everyone else did, too. To me, “alcoholic” was a dirty word. The fear of admitting that I had a problem with alcohol was so overwhelming that living in denial became my forte. In fact, before seeking help for addiction, the thought that I was an alcoholic hadn’t even crossed my mind. I knew that I had a tendency to drink too much, but didn’t everyone? Most of the people I knew certainly did. Even when I entered a mental hospital with symptoms of depression and anxiety in 2007, alcoholism didn’t register in my brain at all; when the psychiatrists asked if I drank, my reply was that yes I did but only moderately and on special occasions. I continued to drink almost daily for another three years after that and create some of the most horrific scenarios in my life to date. The stigma attached to being an alcoholic is still very prevalent in today’s society and I believe that being female carries an even further stigma. And so it was interesting to me to see a recent article in the Wall Street Journal which reported that some studies point at evidence suggesting that the changing role of women in society has led to an increase in women’s drinking. It seems that the pressure to be a mother, full-time employee and housekeeper and still be expected to look like something out of Desperate Housewives is an unrealistic goal for anyone. I know that I feel increased pressure as a woman as I parent my children alone, struggle to make ends meet and try to forge a career and a life for myself. But the fact of the matter is that drinking was an obsession for me from the age of 13 and it became a problem straight away, long before I had any of the responsibilities I have now. By the time I was 15, I was hospitalized for the first time with alcohol-related issues. Yet apparently, even women who seem to have everything money can buy—those with no visible problems—are turning to the bottle to seek comfort. There are, of course, many theories as to why women’s alcohol consumption is on the rise. I believe that in a world where we are becoming more isolated and anonymous, the pressure to be robotically perfect pushes us to find solace in chemicals to cope. Gone for many are the days of dropping into the neighbor’s for a coffee and a chat to discuss life’s problems, gone are the times when women (supposedly) supported each other through everything. Now it seems, it’s almost sacrilegious to admit to having problems or not coping. Admitting that I was an alcoholic has had a profound effect on my life. Most of my friends from the old days are not around anymore; they didn’t want to hear about my alcohol problem and some understood it so little that it somehow led to me being characterized as a drama queen. They’ve have been replaced with people who are willing to share all of their experience, strength and hope with me over a coffee. While the piece mentions that AA has worked for millions, it fails to recognize the spiritual principles of the 12-Step program and the strong bond of fellowship in the rooms—not to mention the fact that it is non-profit organization that’s completely free to its members. 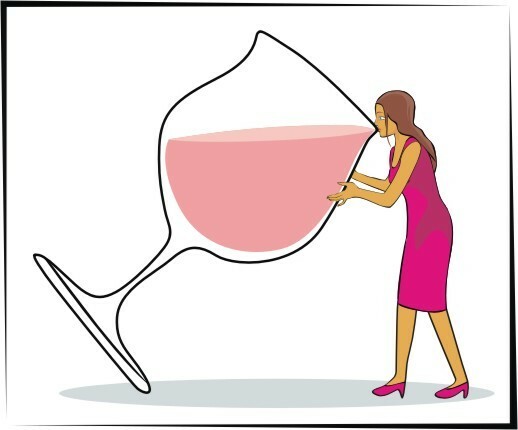 And while this article seems to tout moderate drinking as a viable solution to the pesky problem of alcoholism, I know for me moderate drinking would do nothing but trigger both the obsession and craving and lead me back to full-blown active addiction. Handing over ridiculous sums of money to substitute one drug for another to control or moderate my addiction? That seems ludicrous to me. The issue of increased drinking among the female population is indeed a growing concern and the fact that it’s being highlighted and discussed is wonderful. Still, while I am all for finding a solution for each individual and I understand that one-size-fits-all cookie cutter recovery is not realistic, I fail to see why an article which sheds light on the plight of female alcoholics also has to give a negatively skewed view of the most effective method for sobriety in existence. Well done Nicola, can really identify with being called a drama queen! of this subject. Thanks a lot for posting about it.